Rush Poker Beginners Strategy - Casino Answers! Rush Poker is a very popular form of poker in which you play with incredible speed. When you fold a hand in rush poker, you are then quickly taken to another table where the hands are being dealt. This game is quite interesting because it’s all about the cards. There is no picking up tells when the game moves so fast. You can forget about tells in this one as the game moves quickly and each hand is in a vacuum. You could go from one table to the next and never see the people from the last hand again. It’s all about the cards and how you play them. While the idea of this game is that you can get many hands in during a short period of time, you do sacrifice a bit of the game by doing that. That said, it does take away some of the advantage that people who play a ton of poker (the internet pros) have by taken a lot of the data out of the game. Beyond all that though, rush poker is just plain fun. 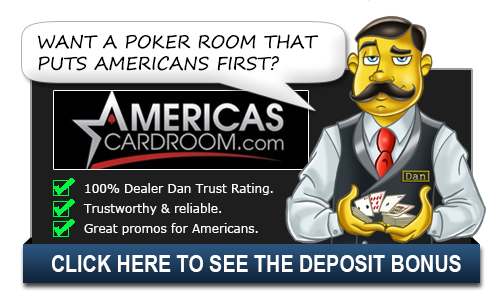 The best rush poker strategy quite honestly – is to play the standard strategy that you would normally use when it comes to poker, except be more aggressive. This is actually a great game to make money at right now, because the players tend to be very bad at it. Rush poker players are folding way more than they should be, playing too tight preflop. While before you’d get that player on the button with 79 of hearts waiting to see how the action in front of him goes, these players are now folding these type of hands. You see – why sit there with a one-gap suited connector, when with a few clicks of the mouse you might get pocket aces? That’s the mentality of the players right now at Rush Poker – they are folding hands frequently, not fighting for pots, not protecting their blinds, because the next big hand could just be a few clicks away. Post-flop you won’t find there to be too much different than from usual online poker, except as mentioned there will be less fighting for pots. However the best Rush Poker Strategy is all about being aggressive pre-flop. Raise your rags,and watch everyone else fold as they click “quick fold” over and over hoping to get those pocket aces. Also when you DO get those monster hands, feel free to be overly aggressive. Because guess what – if a player has quick folded 20 times in a row, then picks up AJ suited, he’s not going to want to fold that no matter how much you put them to. You can make a lot of money by working these hands and doing your best to get the most money out of your opponent on them. Try out this aggressive strategy today – Full Tilt Poker even offers play money games of Rush Poker, meaning you can play it for free.